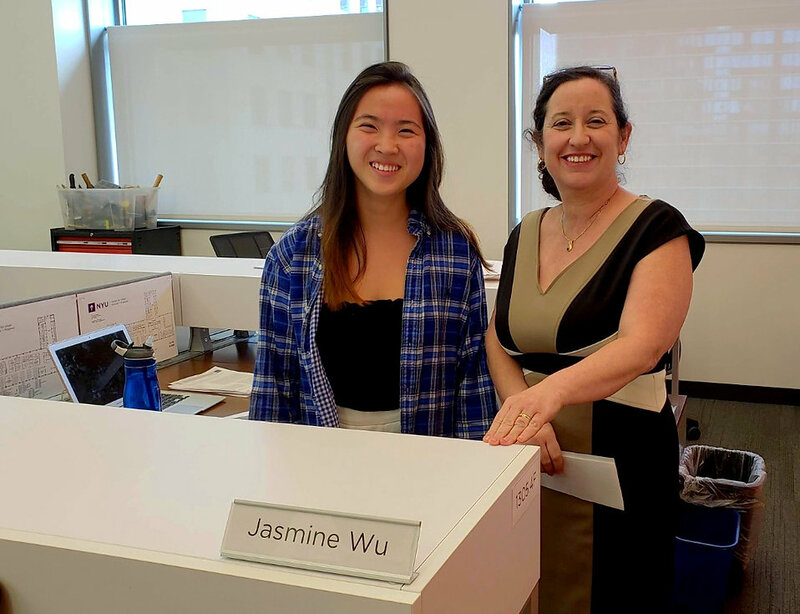 Jasmine, a rising junior Civil Engineering student has temporarily traded in her Stony Brook University red for purple during her Summer internship as a research intern at NYU’s Center for Urban Science and Progress (CUSP)! Under the guidance and mentorship of her supervisor, Prof. Laefer, Jasmine has been working on a host of projects in order to propel her towards her goal of becoming an Urban Planner. Upon our Midsummer WISIP visit, Jasmine shared that her work this Summer poses a different kind of challenge to her as she pursues her career. Her role at NYU – CUSP is primarily based in the handling and processing of data in order to complete research; a role that contrasts her more mechanics-geared course work during the school year. Her work with point clouds (a set of data points in space, typically created with 3D scans of surfaces) and doing cloud comparisons has allowed her to interact with her desired field in a new way. Subsequently, she’s had the opportunity to synthesize her work into presentations and develop technical writing skills, which Prof. Laefer mentioned grows her ability to communicate scientifically. Jasmine may even be co-author to a publication based on her efforts by the end of her internship. Jasmine has found the experience at NYU-CUSP enriching in multiple ways. She spoke how as a college student, each problem posed comes with a set of guidelines, a predetermined method, and a known end result. At her internship, that is not the case. She works independently and no one knows the answers she seeks in her research, putting her critical thinking skills to work as she tests out different ways to find solutions. Prof. Laefer points out how important the possibility of making mistakes is for her interns because sometimes failure is the best way to learn. However, it is always better to fail fast if you must and Jasmine has the consistent support of weekly meetings with Prof. Laefer and other NYU-CUSP faculty, formal trainings, and her fellow interns who complete regular peer editing sessions to keep her moving forward. With a supervisor as dedicated to her personal growth and a facility as lovely as NYU-CUSP, it is no surprise to find Jasmine thriving! Thank you to NYU-CUSP and Prof. Laefer for providing such a high-quality WISIP experience!